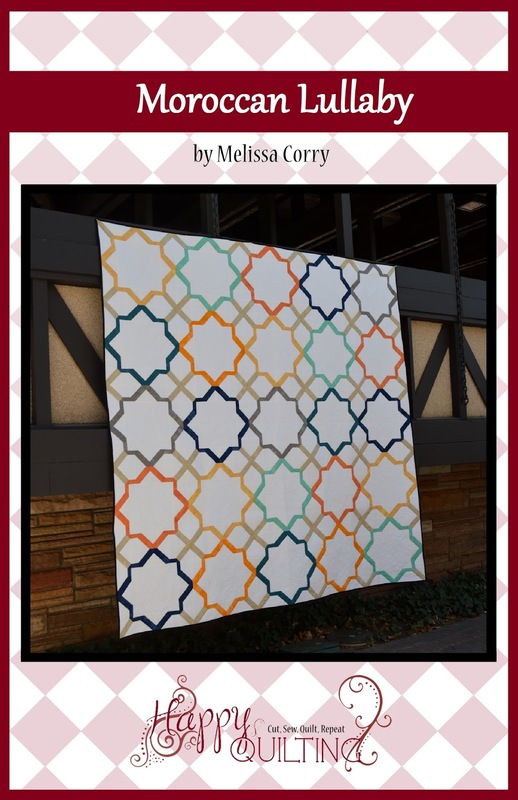 Today is my day for the Riley Blake Design Team Wednesday, which means I have a fun new quilt finish and a tutorial to share with you all today. So, here is the quilt!!! 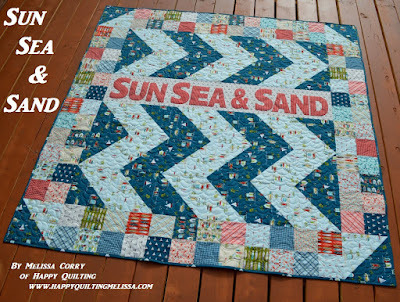 I call it the Sun Sea & Sand Quilt and I am so loving it!!!! 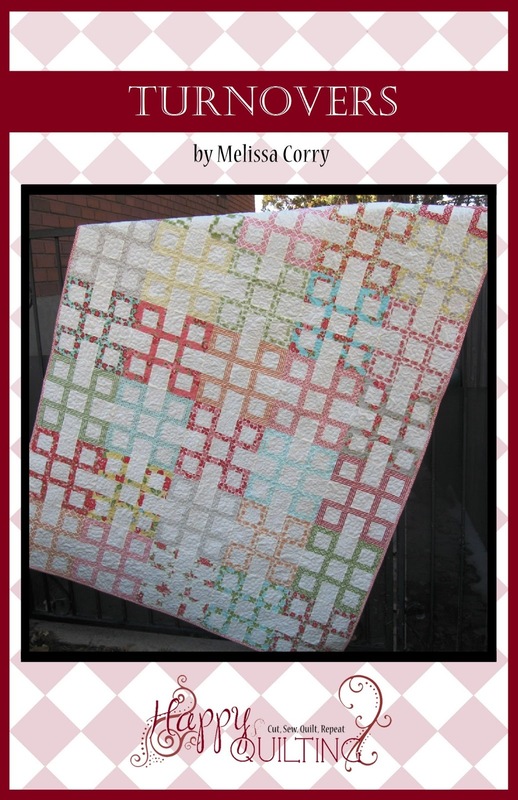 So I came up with this adorable quilt design that uses two basic blocks to create a fun ocean wave effect. 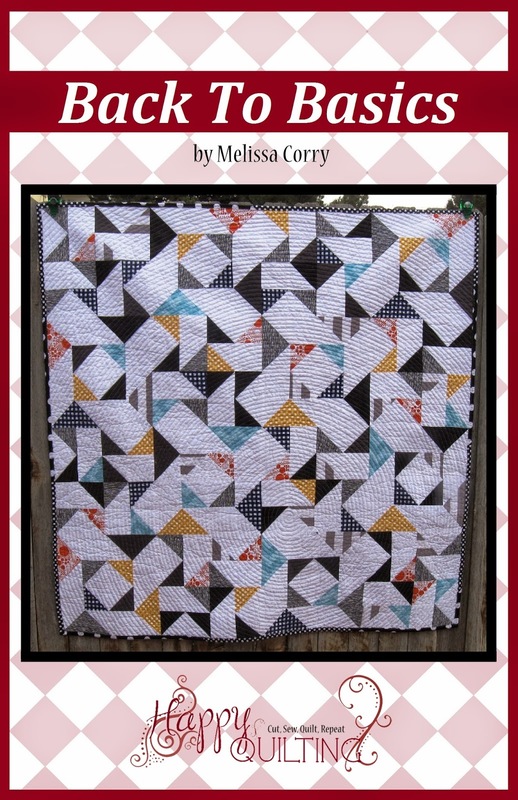 The Wave is just simple Half Square Triangle Blocks and then a Four Patch Block border. I love how those little squares just set off that wave and highlight all of the awesome prints in the line!! Add these to your 5" squares from your 5" stacker. You will need a total of (96) 5" squares. From the Binding fabric cut (8) 2 1/2" x Width of Fabric strips. You do not need to cut anything from the Dot Red yardage at this time. 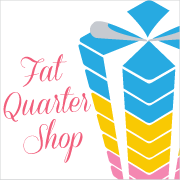 Grab your stack of 5" squares. Place one square onto another with right sides together. 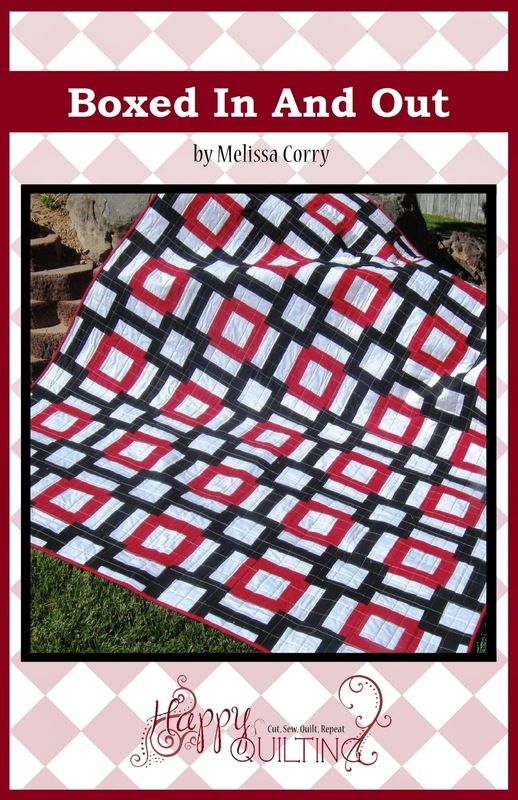 Align the squares and sew a 1/4" seam along an edge. You will need to make 48 sets of these 2 patch units so I suggest chain stitching to speed things up and save thread. 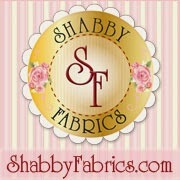 If you have never chain stitched before, it is simply not cutting your threads between pieces. So stitch your 1/4" seam along the edge of two pieces, then, without clipping your threads, feed the next set of 2 patches through your machine. Continue in this fashion until you have stitched all 48 sets and have a nice long snake of 2 patch units. Now, you can turn your two patch units into Four Patch blocks. To do this, simply layout 2 two patch units alternating the light and dark fabrics as shown below. The reason for alternating is so that you can nest the two seams together when you place them right sides together. You can also pin the seam if you like. Stitch a 1/4" seam along the nested or pinned edge. 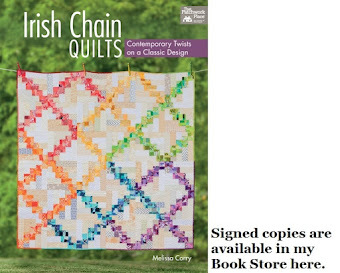 Once again, it will save you a lot of time and thread to chain stitch all of your sets at once. Clip your threads and then press the seams open once you are done stitching. 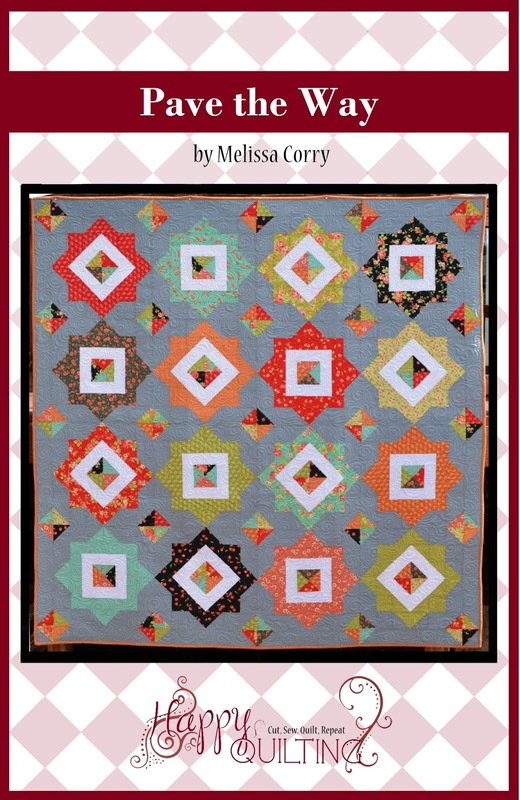 You will make a total of 24 blocks that will measure 9 1/2" x 9 1/2" square. And with that, your Four Patch Blocks are done and you are ready to move onto The Half Square Triangle Blocks. 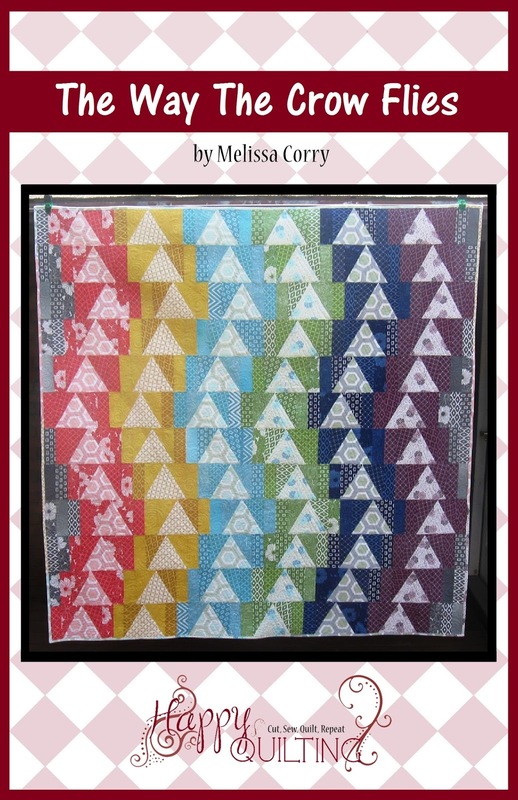 To start, you will need to draw a diagonal line on the wrong side of your Aqua 10" x 10" squares. I like to do this on the Aqua print as it is hard to see the line on the Blue print. I use a Frixon pin that will disappear with heat. 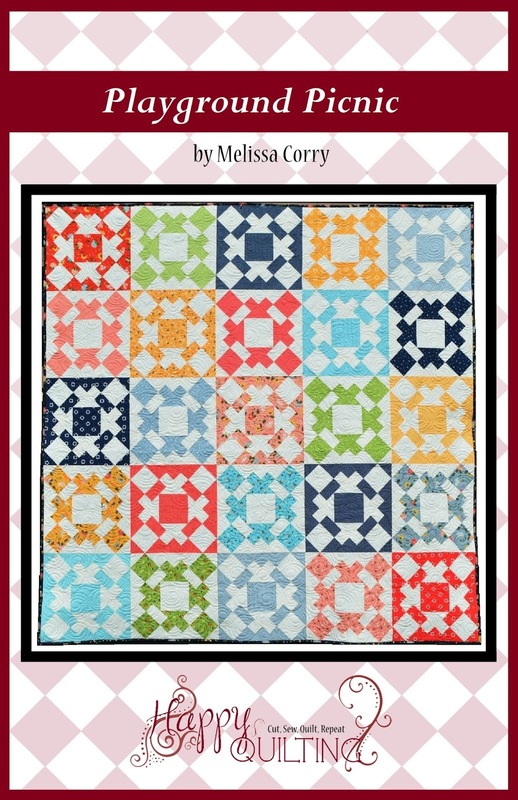 Place an Aqua 10" x 10" square onto a Blue 10" x 10" Navy square with right sides together. Align the edges and place a pin on either side of the drawn line. Now stitch a seam 1/4" away from the line you just drew. You will stitch on either side of the drawn line. 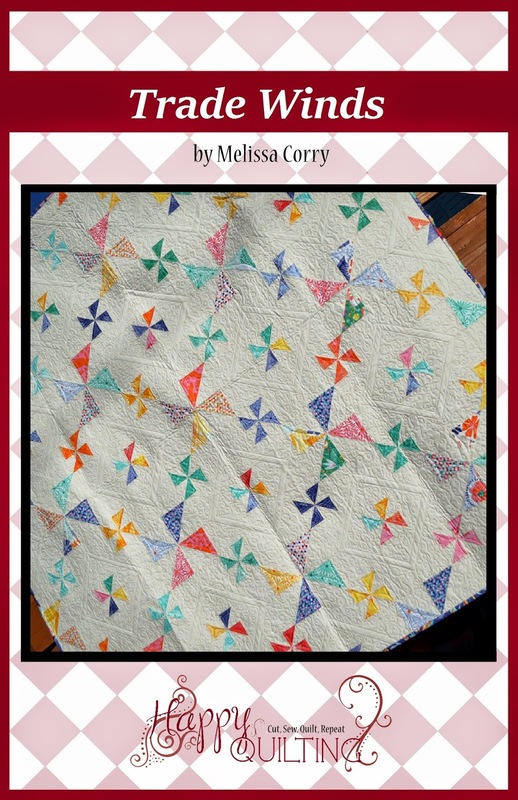 Once again, it will save you time and thread to chain stitch all 17 of your sets. I like to align and pin all of my blocks first. Then I stitch a 1/4" seam along the left hand side of all my sets. Then, I clip my threads, rotate my blocks 180 degrees, and chain stitch along the other side of my drawn line for all 17 sets. Then once again, clip your threads between your blocks. Now, align your ruler along the drawn line and then use your rotary cutter to cut directly on the drawn line creating two triangles. Press the seam towards the dark blue fabric. And finally, trim your block to 9 1/2" x 9 1/2" square. The easiest way to do this is to place your 9 1/2" square ruler onto the block aligning the diagonal line on the ruler with your seam. Then simply trim around all 4 sides of your block. Trim all 34 blocks to 9 1/2" x 9 /2" square. And now your blocks are done, and you are ready to do some Applique!!! Yippee!!! Well start by making our Applique strip. Sew your 2 Sailboat Tan strips together end to end. Press the seam allowance to one side. Then trim the strip to measure 9 1/2" x 54 1/2". Set this strip aside for a moment. Click here to get the Applique Letter Templates. Print them off and cut them out. I like to print these on cardstock so they aren't super flimsy. 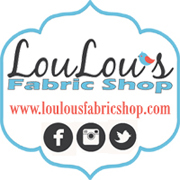 Following the products directions, attach your fusible to the wrongside of your Red Dot yardage. Trace the templates for all of the letters in Sun Sea & Sand. Remember, always trace your appliques on backwards so that when you turn the letters over to the right side of the fabric they will be correct. Cut your traced letters out. Remove the paper backing from the fusible on each letter. Align them across the Appliue Strip. I found that the S in each letter is perfectly aligned if you put it 1 1/4" from the top and bottom. Adhere them in place using your iron. Now, secure stitch around each letter. My favorite stitch on raw edge applique is a blanket stitch but you can do a straight stitch or a zig-zag stitch. Choose your favorite. I choose to use a matching Red thread, but you can always do a contrasting thread if your prefer. Black would really pop! 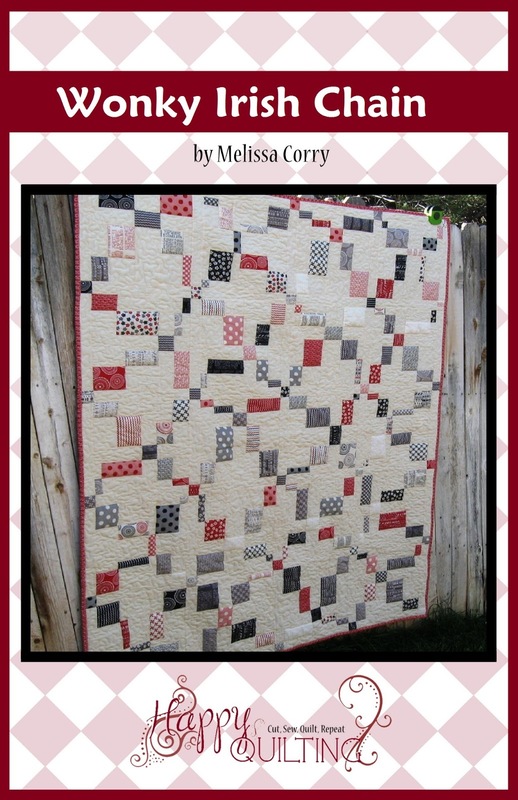 Layout your Blocks and Applique Strip as shown below. 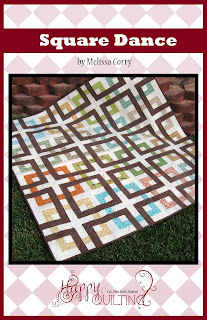 Play with the placement of the Four Patch Blocks until the color layout is pleasing to the eye. I like to take a picture and then look at it on my camera, that is the easiest way to see that your colors are balanced. 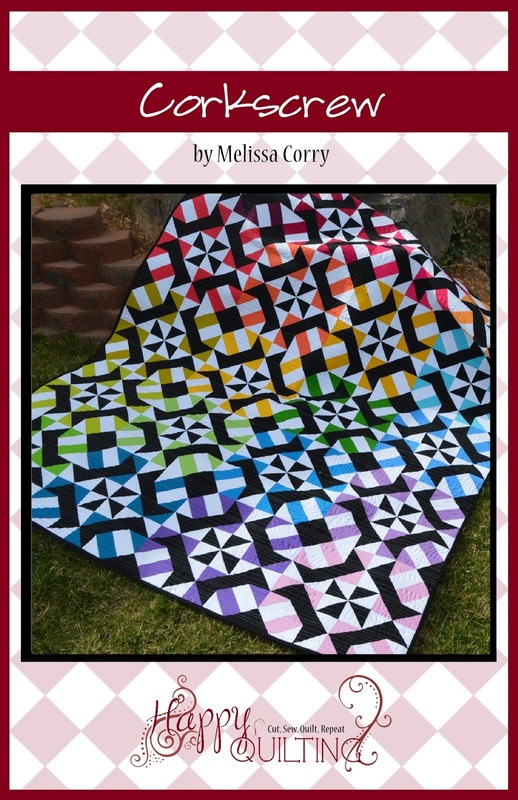 Take special care to make sure the "zig-zag" in your Half Square Triangle Blocks is going the right way. It is easy to get it mixed up. 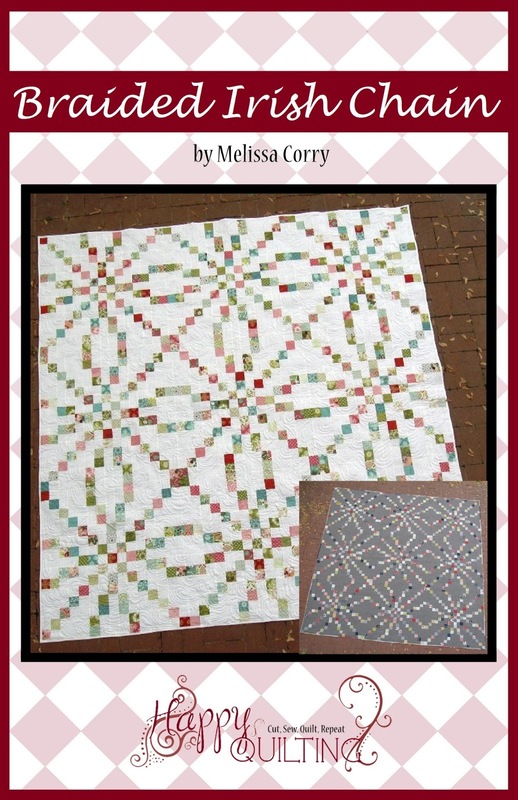 Once you have a layout you like, you are ready to sew the blocks and strip into rows. Place the second block in the row onto the first with right sides together. Align, pin, and stitch a 1/4" seam along the edge. (Row 1) Then, place the third block in the row onto to now sewn together first and second block. Align, Pin, and stitch a 1/4" seam along the edge. 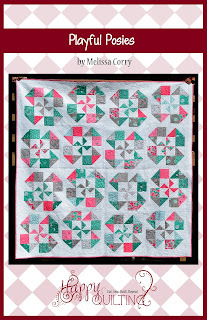 (Row 2) Continue in this fashion until you have sewn the entire row of blocks together. Repeat this process for all 8 rows in the quilt top. Obviously, the applique strip row will be the quickest ;) Once sewn together, press the seams of each row in opposite directions. 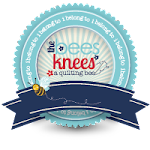 This will allow you to once again nest your seams in the next step. So press rows 1, 3. 5, and 7 to the left and press rows 2, 4, 6, and 8 to the right. Then all that is left is to sew the rows into a quilt top. This is just like sewing the blocks into rows only on a larger scale. Place the first row onto the second row with right sides together. Align and pin all of the seams. Stitch a 1/4" seam along the pinned edge. Then, place the third row onto the now sewn together first and second row. Align, pin, and stitch a 1/4" seam along the edge. Repeat this process for all of the rows. I find it is easiest to stitch the first 4 rows together into a group, then stitch the last four rows together into a second group. Then place the bottom half onto the top half, align and pin the seams, and then stitch a 1/4" seam along the edge. Press the seams open and then give yourself a pat on the back. Your beautiful Sun Sea & Sand Quilt Top is all done!! Isn't it just so fun!!!! 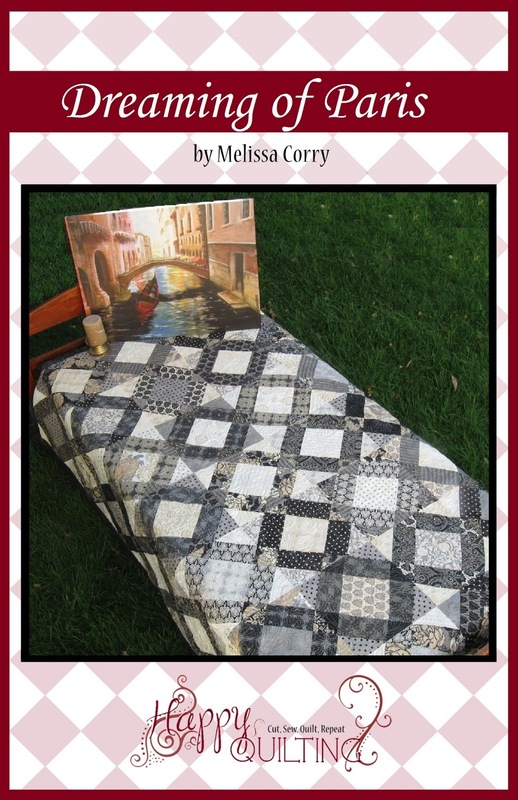 When it came time to quilt mine, I had some fun and really played up the beach theme. You can see it best from the back of the quilt. I quilted a little ocean wave in the center. And around the border I did these fun "rolling hills" in the four patches that kind of look like star fish. And finally, around the applique I did pebbles to make you think of sand on the beach. 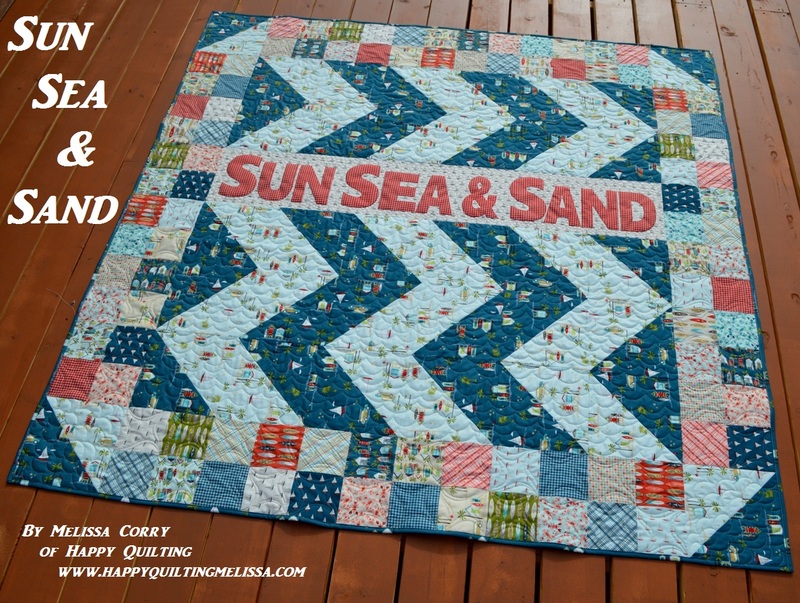 And just like that, you are done and you can sit back and enjoy your new Sun Sea & Sand quilt!!! 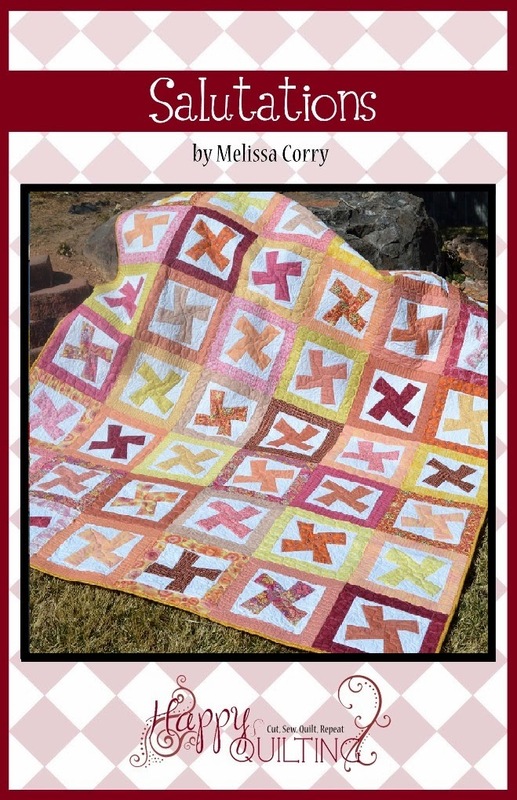 The quilt finishes at 72" x 72" so it is the perfect size for taking to the beach and laying out with a good book or playing on with the kids!! 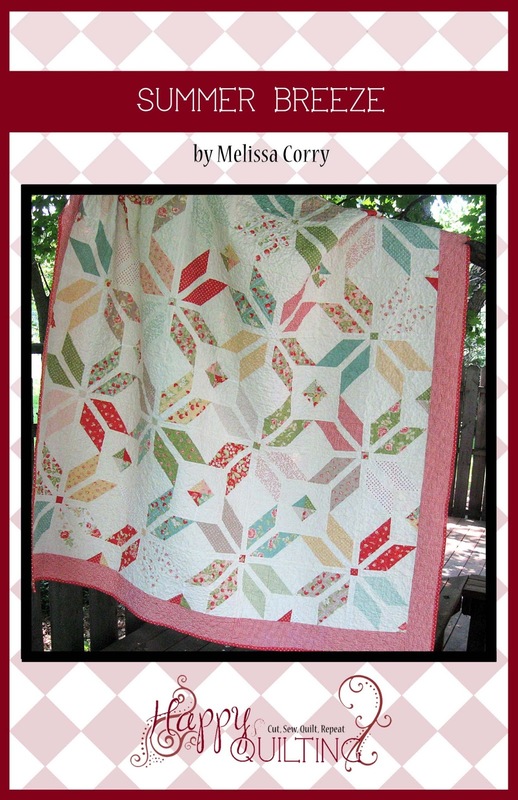 I just love this quilt and I cant wait for the sun to come back out again so I can break it in at the Beach. So fun!!! Thanks for sharing this finish with me today!!! Great design, Melissa! Your ideas really evoke the fun of the ocean. 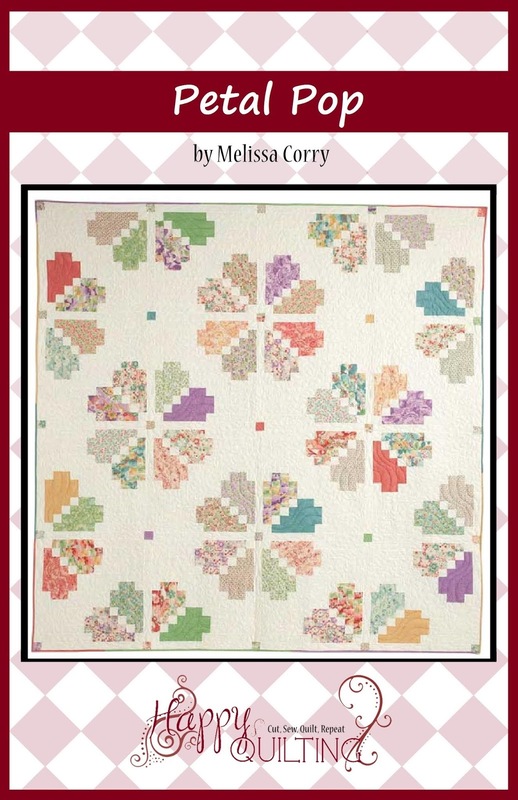 The quilting ideas are perfect for it too. Very cute! 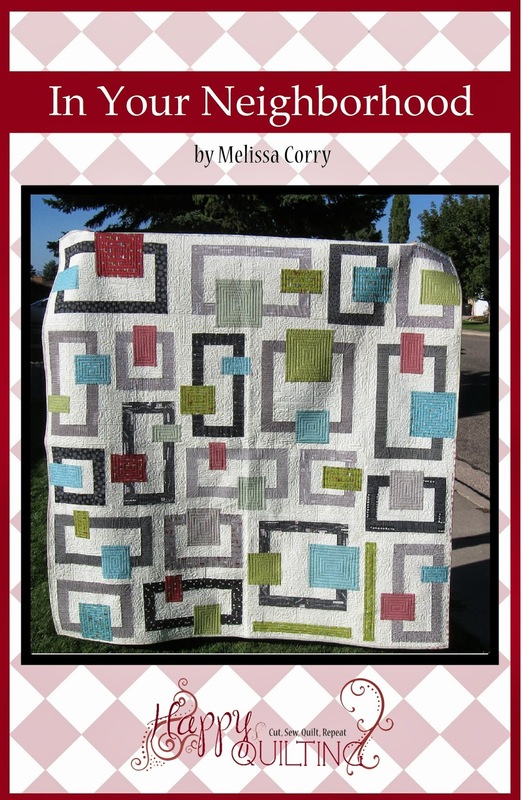 I love your quilting. It can be so hard to come up with ideas. Fall In Line - A Secret Share!!! 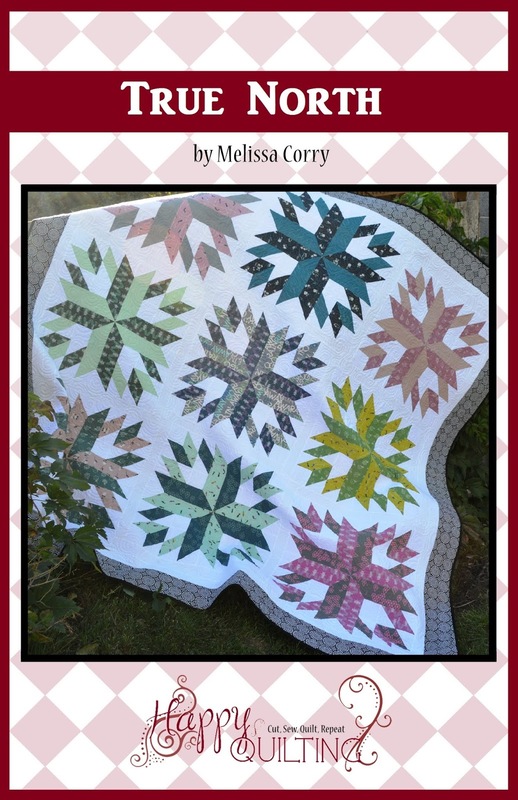 It's That Time of Year - Quilt Along's!!!!! 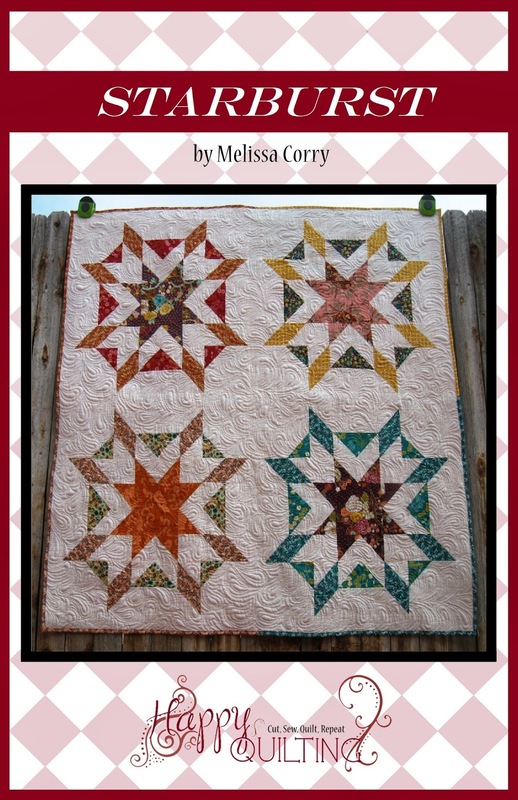 Star Cakes Quilt - FQS Top 10!!! 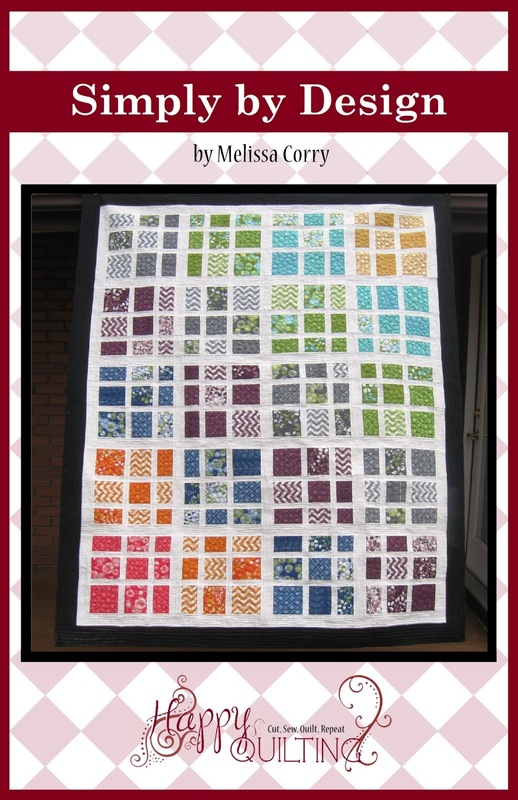 Charm Box Quilt - FQS Top 10!! !